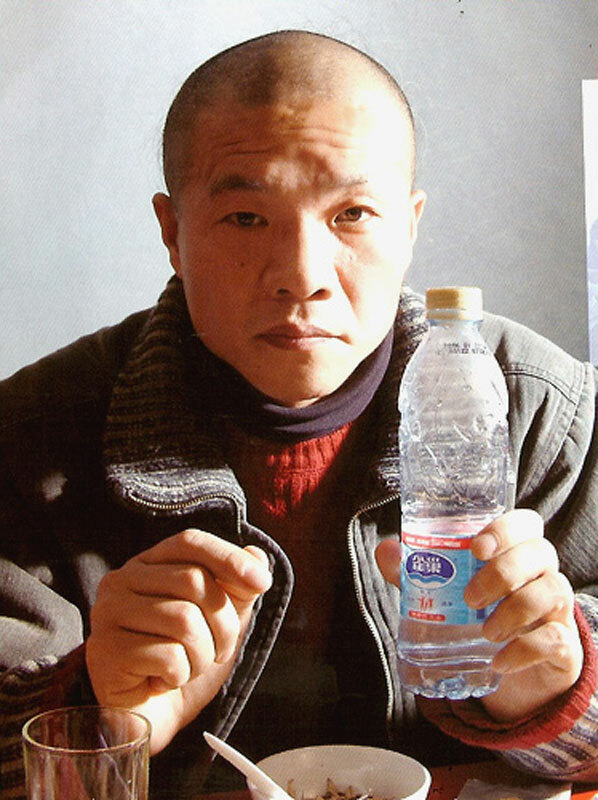 1966 Born in Heilongjiang Province, China. 1991 Graduated from the Sichuan Academy of Fine Arts, Sichuan, China. now lives and works in Beijing. China: Past, Present & Future. Memmingen Kunsthalle, Germany. Wang Qingsong, Albion Gallery, London. UK. Wang Qingsong: Present-day Epics, Saidye Bronfman Contemporary Art Center, Montreal Canada. Wang Qingsong Photography, Foundation Oriente, Macao, China. ZHUYI! CHINA. Contemporary Photography from China. Artium of Alava (Centro-Museo Vasco de Arte Contemporaneo ARTIUM), Spain. Timer: Intimacy, the Triennale di Milano, Italy. Thermocline of Art. New Asian Waves, ZKM Museum of Contemporary Art, Germany. Photo biennale, Moscow House of Photography, Moscow, Russia. Acting the Part, history of staged photography, National Gallery of Canada, Ottawa, Canada. The 37th Recontres de Arles Photographie, Arles, France. C on Cities: 10th Venice Architecture Biennale, Venice, Italy. Ecotopia: ICP Triennale, New York City, USA. Shifting Identity in Contemporary Art, John Michael Kohler Arts Center, Wiscounsin, USA. Re-viewing the City Guangdong International Photo Biennale,Guangdong Museum of Art, China. Montpellier-Chine 1: 1st Biennale Internationale d’Art Contemporain Chinois de Montpellier, France. Follow Me! Chinese Art at the Threshold of the Millennium, Mori Art Museum, Japan. 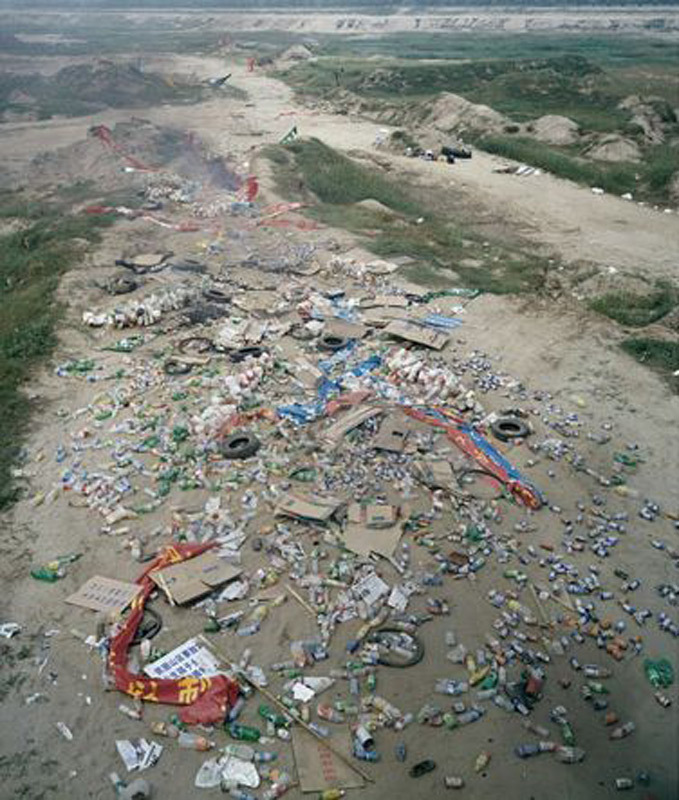 Die Chinesen Contemporary Photography and Video from China, Museum Het Kruithuis, The Netherlands. Pocheon Asian Art Fair (PAAF2005), Pocheon, Korea. Baroque and NeoBaroque The Hell of Beauty, Domus Atrium 2002, Salamanca, Spain. Always to the Front Chinese Contemporary Art, Guandu Art Museum, Taiwan. Beyond Delirious Architecture in Selected Photographs form the Ella Fontanals Cisneros Collection, USA. Over One Billion Served, Museum of Contemporary Art, Denver, USA. Photosynkyria Photography as Narrative Art, Thessaloniki Museum of Photography, Greece. Officina, Galeria of Modern Arte, Bologna, Italy. 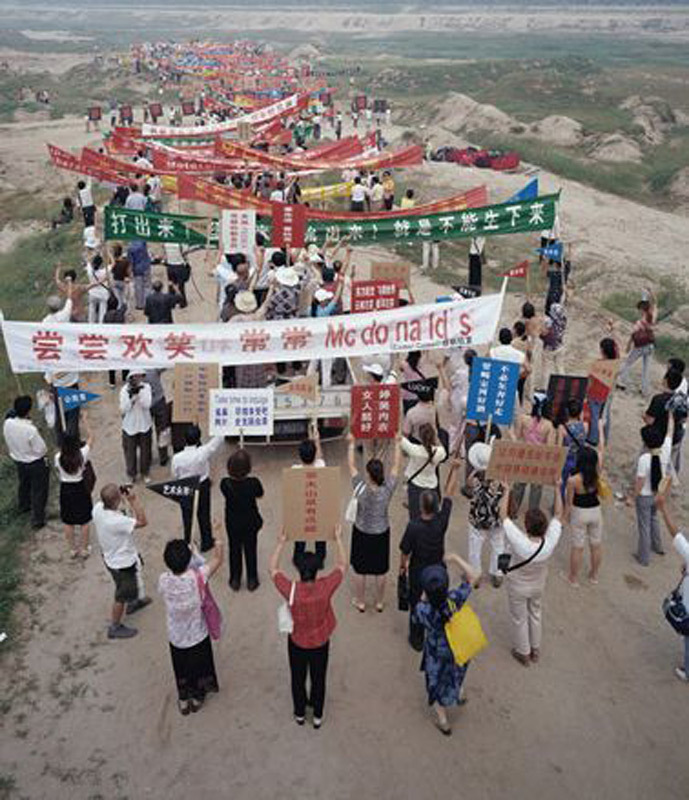 New Photography from China, International Center of Photography, New York City, USA. Past in Reverse, San Diego Museum of Art, USA. Prague Biennale 1, Czech Republic. 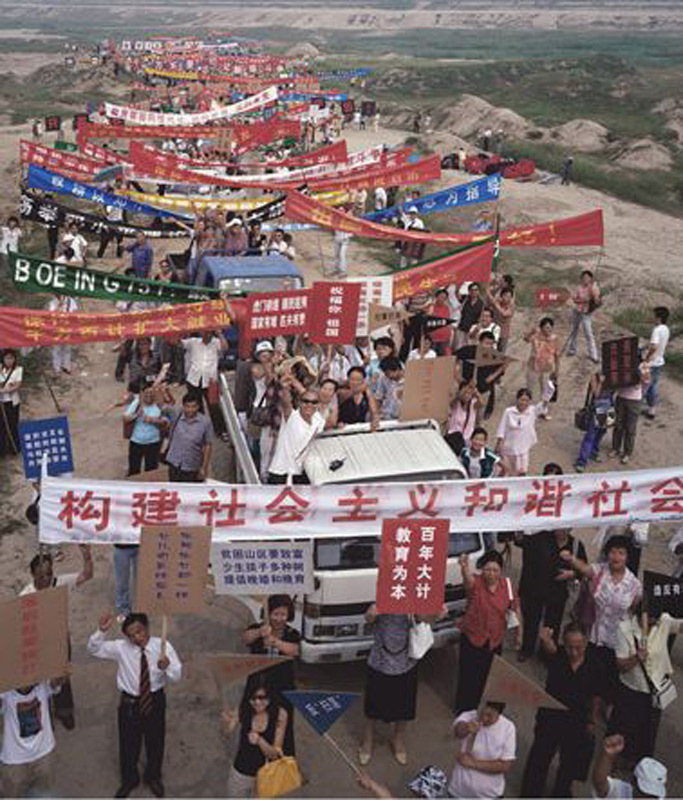 Contemporary Chinese Photography, Rudolfinum Art Museum, Prague, Czech Republic. Run, Jump, Climb and Walk, East Modern Art Center, Beijing. Special Projects, P.S.1 Contemporary Art Center, New York, USA. Chinese Modernity, Museum of the Foundation Armando Alvares Penteado, Sao Paulo, Brazil. The 2nd Pinyao International Photography Festival, Shanxi Province, China. Paris-Pekin, Espace Cardin, Paris, France. CHINaRT, Museum Kuppersmuhle, Zeitgenossische Kunst,Duisburg, traveling in Rome and etc. Constructed Reality Conceptual Photography from Beijing. Hong Kong Arts Center. Next Generation. Passage de Retz, Paris, France. Promenade in Asia-CUTE. Art Tower Mito, Japan. China Album. Nice Contemporary Art Museum, France. CROSS-PRESSURES. Finnish Museum of Photography. Finland. Asian Contemporary Art Exhibition, Guangdong Art Museum, China. Man + Space, 3rd Kwangju Biennale 2000. Kwangju, Korea. BIG TORINO 2000 Biennale Arte Emergente. Turin, Italy. China Avant-Garde Artists Documenta. Fukuoka Museum of Art, Japan . Unusual and Usual. Yuangong Art Museum, Shanghai. China. Oh La La, Kitsch! TEDA Contemporary Art Museum, Tianjin, China. SYNERGY: Fourteen Danish and Foreign Artists Exhibit. Udviklings Center Odsherred, Copenhagen, Denmark. Sites of Desire: 1998 Taipei Biennial. Taipei Museum of Fine Arts, Taiwan. Quotation Marks: Chinese Contemporary Oil Paintings. Singapore Art Museum, Singapore. China! Kunst Museum, Bonn, Germany, traveling in other countries. Gaudy Life. Wan Fung Art Gallery, Beijing. China. 18. K20 and K21, Dusseldorf, Germany.